Submit your deposit today and make it official! Spend the day on campus! 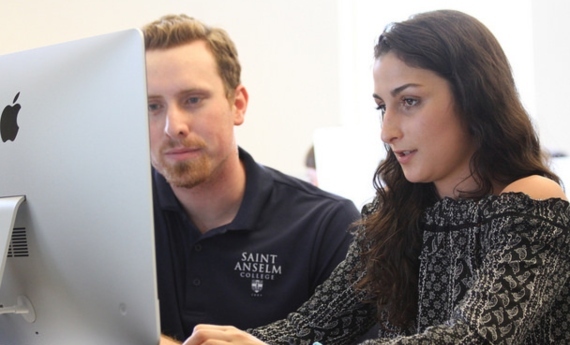 Take a class, meet current Anselmians, and discover Saint A's for yourself. Now that you've been admitted, share your news with the world. Use #SAC23 on social media. You are now an Anselmian. Anselmians are driven. Honest. Focused. Bright. Prepared for anything. 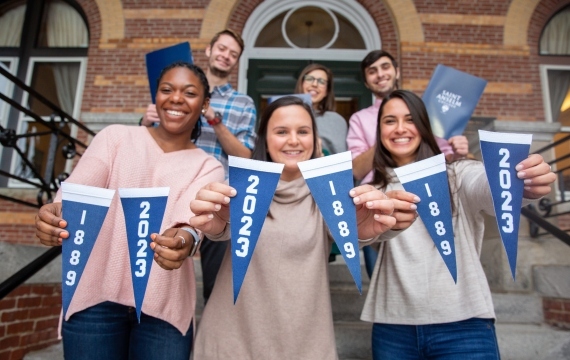 The Admitted Students site has all the resources necessary for you to explore Saint Anselm College through new eyes and learn why you'll call it "home" for the next four years! You can download our Anselmian Social Media Toolkit and share your big news on Facebook, Twitter, Instagram, and Snapchat. Show off your class banner with #SAC23. 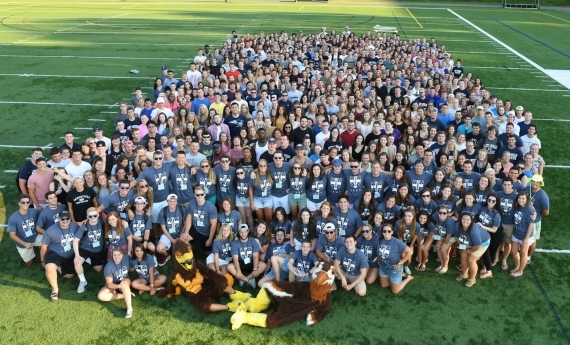 Download the ZeeMee app and join the Saint Anselm College admitted student group. Upload a photo of you with your class banner to join. 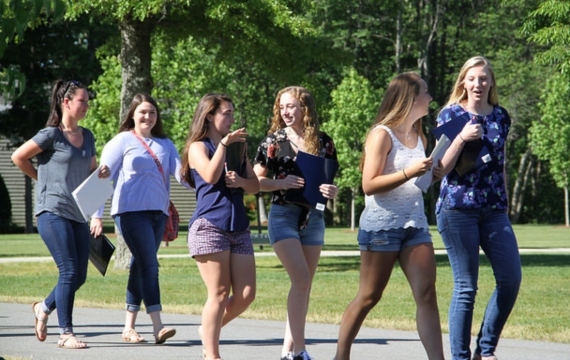 With a variety of admitted events on top of our weekly campus tours, there are plenty of chances to visit Saint Anselm College (or have Saint A's come to you!). Each opportunity is a little bit different, so feel free to attend everything! Learn how to access your Financial Aid information as well as understand the various types of aid offered. Access the Admitted Student Portal to either "make it official" and submit your deposit or decline your offer of admission. Request your final transcript from your high school. Orientation Pt. I: June 18, 19, or 20 | 8:30 a.m. - 2 p.m.